progress using this school information system. 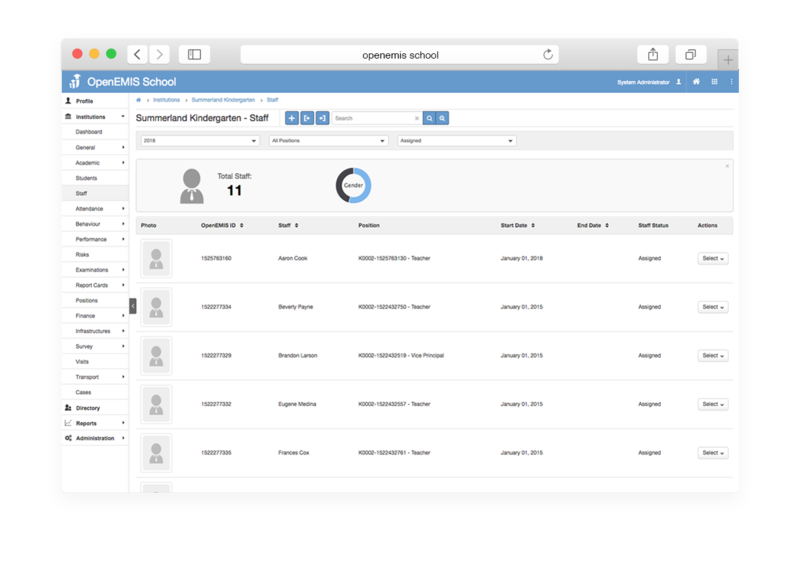 day-to-day activities involved in managing an individual school. 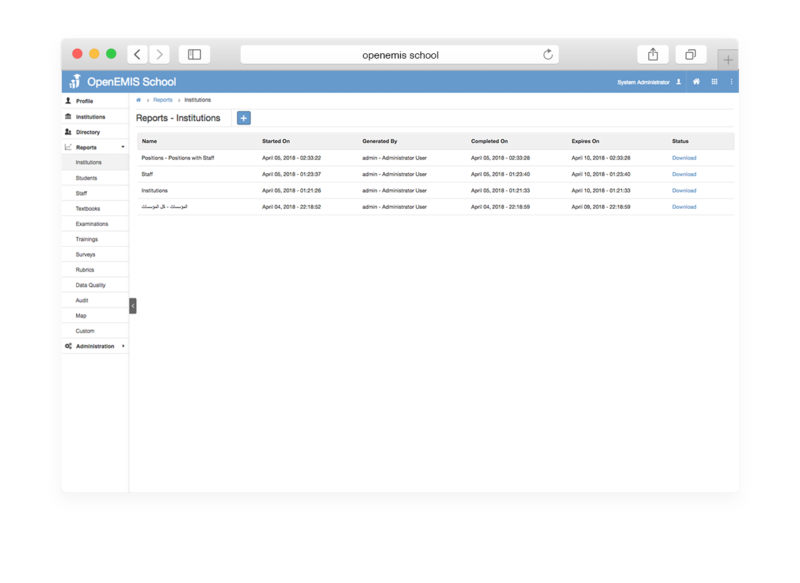 Manage staff data on your phone. 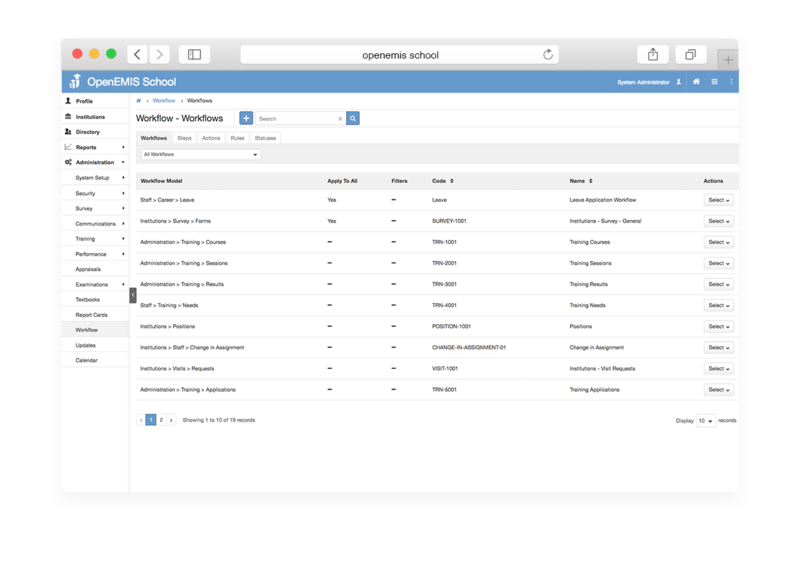 As a school administrator, take attendance, record assessments, and organize your staff data, all on your own phone. 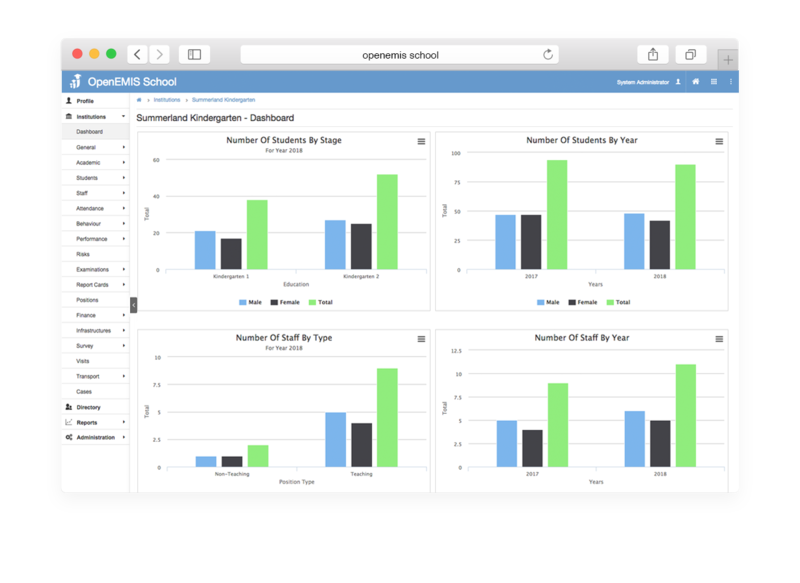 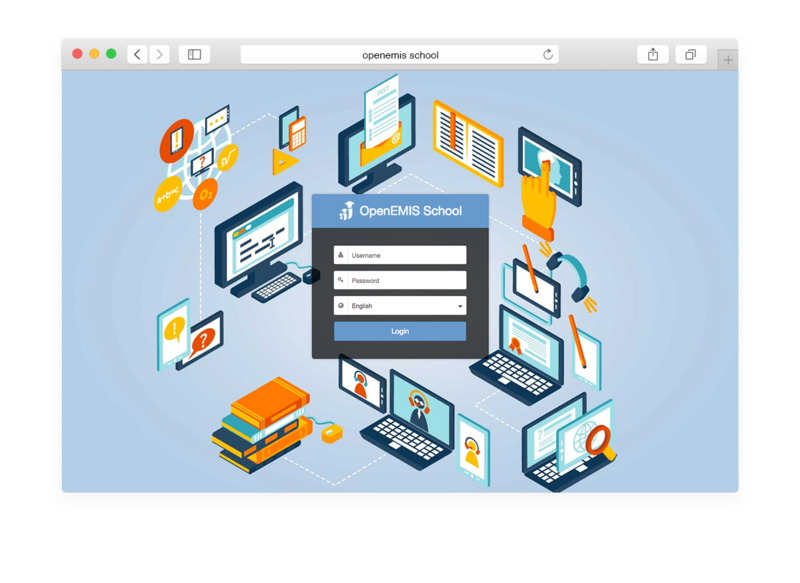 OpenEMIS School facilitates the collection, processing, and management of information at the school level. 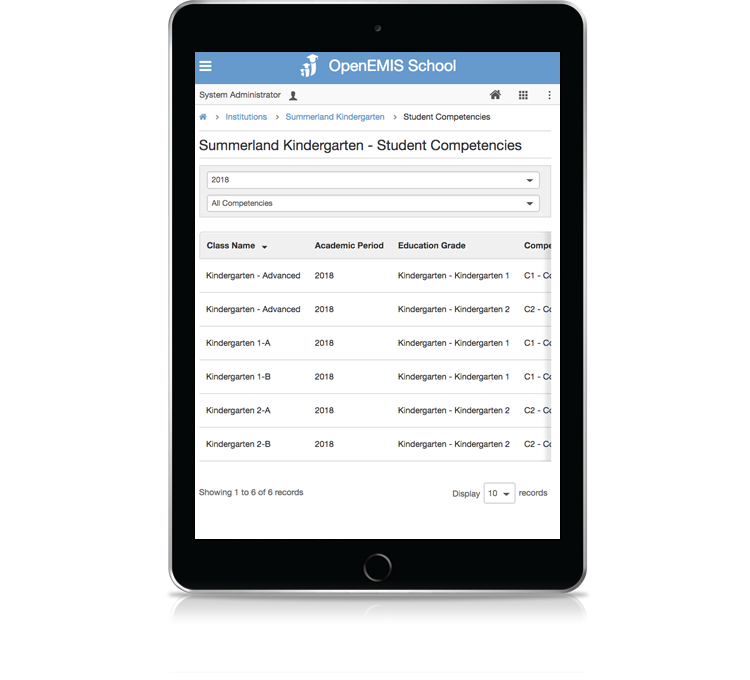 OpenEMIS School is a customizable application that supports the day-to-day activities involved in managing an individual school.